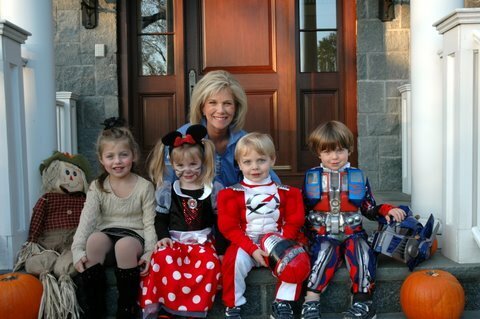 In honor of Halloween, here is a #FBF of me with my two sets of twins on Halloween from 2008! My family still trick or treats together, siblings, cousins, pets, even grandparents. This year will be my granddaughter, Parker's first Halloween and I am so excited to see the costume my daughter, Lindsay has picked out for her! Remember, Halloween is filled with excitement and mystery, but it is important to discuss trick or treating safety tips with your children before adventuring out around your neighborhood. Keep an eye on your little ones and stay safe! I hope your night is filled with fun, family and some yummy treats!